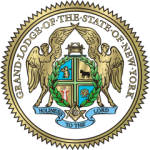 The Chancellor Robert R Livingston Masonic Library and Museum of the Grand Lodge of New York’s holds three copies of the 1723 original edition, and one copy of the very rare 1734 Benjamin Franklin reprint, the first Masonic book printed in America. 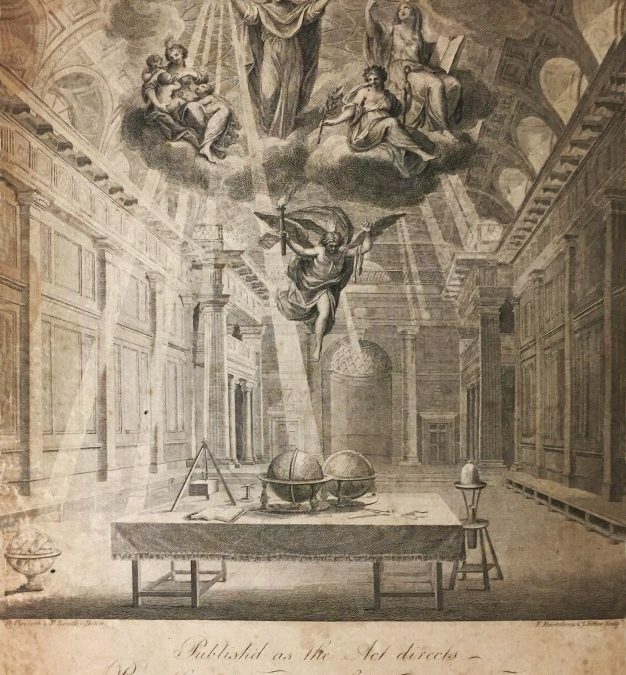 This frontispiece comes from the 1784 John Noorthouck edition, in which, “we are, for the first time, confronted with a clear and deliberate representation of Masonic globes…The architecture depicted is that of the inside of Free Mason’s Hall. 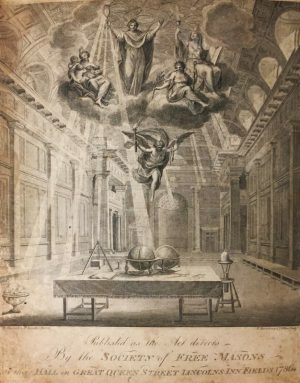 Faith, Hope and Charity are represented at the uppermost part of the print. 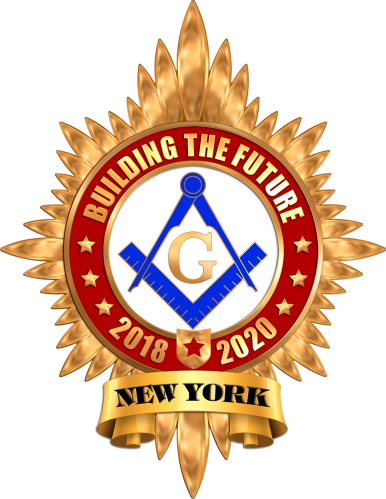 In the center, Truth holds a mirror from which rays of light descend.” Beresiner, Masonic Papers. B. Cipriam & P. Sandby – Delin. E. Bartolozzi & T. Fitler – Sculpt.